Little League Baseball officially called Little League International is the nonprofit organization in the South Williamsport. 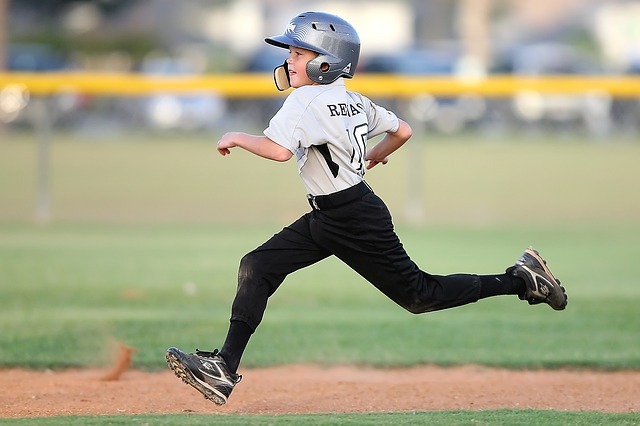 Little League Baseball or LLB is an interesting game for children to coordinate their teamwork with maximum effort. Little League Baseball was first founded in 1939 in Williamsport, Pennsylvania by Carl Stotz as 3-team league. Little League Baseball normally encourages the local volunteers for organizing and operating the Little League programs. The Little League program is chartered annually by the Little League International. Little League program is structure itself for serving children best in areas that league operates. Many numbers of specific divisions of the Little League baseball are conducted for the children of age 4 to 16 so that it would be easier to encourage them accordingly. Little League International holds the congressional charter based on Title 36 of the United States Code. Nowadays, the Childhood becomes less about the unstructured and collaborative fun but more about pursuing the competition with the individual achievement. We are living in the world where the parents are bombarded with giving their kids off the edge as well as developing the elite skills. As a matter of fact, there are millions of boys and girls across the world begin their baseball season with more than 6,800 Little League programs. Annual Little League Baseball World Series has conducted on Little League International Complex at Howard J. Lamade Stadium as well as Little League Volunteer Stadium. Little League Baseball World Series was started in 1947 in Williamsport. In 1938, a lumberyard clerk named Carl Stotz in Williamsport, Pennsylvania plays catch game with his nephew. One day Carl Stotz tripped over the lilac bush and this inspiration of game decided to start the Local League in which the kids could easily play the organized baseball game on the real baseball field. Carl Stotz sets complete rules for the Little League Baseball that includes field dimensions and regulations of the game. He gathered kids along with the required equipment to begin the game. Today, Little League teams rely on local sponsors support for buying the equipment like helmets and bats. Back in 1938, the same thing happened without the name recognition. In 1938, Stotz spends a lot of time of finding the sponsors. Stotz convinced the Lycoming Dairy after soliciting more than 56 different local businesses. Lycoming Dairy agrees to back one of the team and eventually secured the sponsorship from Lundy Lumber and Jumbo Pretzel. First-ever in the Little League game was played on 6th June 1939 between Lundy Lumber and Lycoming Dairy. In the match, Lundy Lumber defeated Lycoming Dairy with the score points of 23-8. First ever championship tournament of Little League Baseball was held in 1947. 12 teams compete in the tournament and become the far cry of sprawling international competition players that was complete of modern day. The Champion Tournament drew more than 2500 spectators receiving the National media attention to the great extent. The Lock Haven was defeated by The Maynard Midgets and acclaimed the huge score. Kids from 7 different continents are currently playing the Little League Baseball game from Burkina Faso to Papua New Guinea and from Russia to Australia. Asian teams have dominated the presence in annual World Series tournament. Caribbean teams are in ascendancy lately. Teams from Africa, Europe, and the Middle East have not entered the World Series final. In 1972, Title IX was in effect and Little League Baseball has opposed letting the girls play staunchly. The organization has reasoned that girls were normally prone to the injury. Baseball also becomes “prerogative” of the young American boys. Little League battle the court case that is brought by many families of the girls who like to play. Typically the League won out thus claiming the organization as private one with the best decision made. In 1974, the judges in the Massachusetts and New Jersey ruled Little League do not have the rights to bar girls from participating in the tournaments.